Offering you a complete choice of products which include floor hardener for building construction and nitofloor hardtop std. We are involved in offering an extensive range of Floor Hardener for Building Construction. These make the floors surface strong as well provides smooth finishing to them. We also assure timely delivery of our products. Our floor hardener provides easy solutions for avoiding profit loss that is caused due to damaged floor. 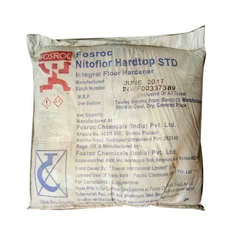 Nitoflor Hardtop / Nitoflor Hardtop Standard provide a highly abrasion resistant surface to concrete floors by the dry shake on method which ensures that the hard-wearing surface bonds monolithically to the base concrete. They are ideally suited for all industrial areas subject to the heaviest traffic, e.g. loading bays, trucking lanes, car parks, workshops, machine shops, ramps and spillways. 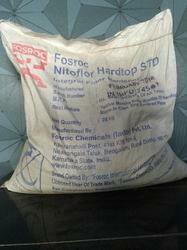 We are widely known firm that is engaged in supplying the best quality Floor Hardener (Nitofloor Hardtop STD). These are quality controlled, factory blended powder, which is ready to use on site. They contain special hard wearing aggregates, which have been selected for abrasion and wear resistant properties. It is widely acknowledged among the large client-base of ours. Looking for Floor Hardener for Building Construction ?